A Bye? Footy Doesn't Stop Down South! 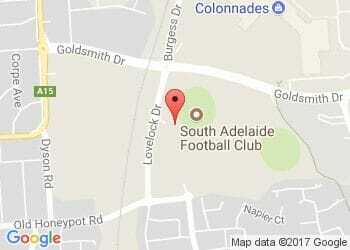 This Saturday South Adelaide have a bye in SANFL IGA League action, but that doesn't mean football stops in Noarlunga! The Panthers Reserves will play their final game of the minor rounds as they face West Adelaide at City Mazda Oval and prepare for their own venture into the finals. Meanwhile, South Adelaide's Under-18s play their penultimate match of the season, coming up against Norwood at Hickinbotham Oval after a comprehensive victory over Central District in Round 20. The League side will be in action at Adelaide Oval from 6pm - 7pm on Friday night as they train at SA's home of football in preparation for their upcoming first final in a fortnight's time.